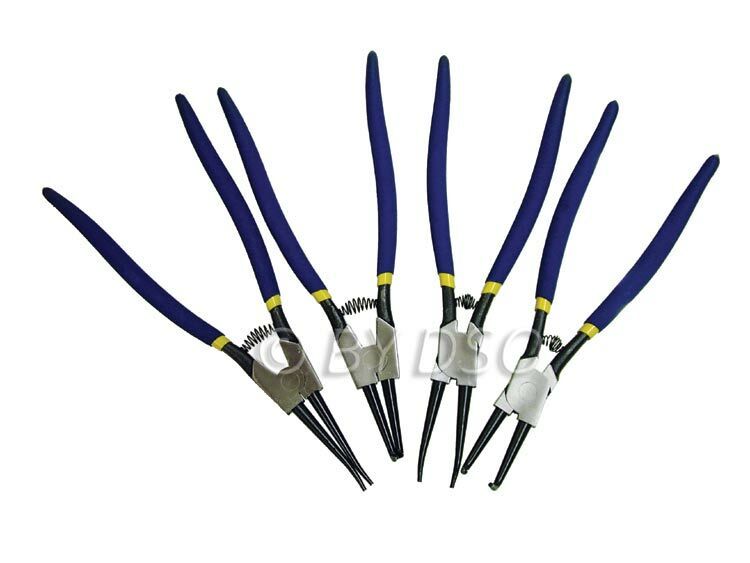 A top quality 4 piece internal/external, straight/bent set of Circlip pliers which is especially large for use with industrial sized clips. Spring loaded jaw sets manufactured from drop forged hardened and tempered steel. Pliers have a polished finish with chemically blackened tips and fitted with non-slip double dipped polyfoam grips. The double dipped handles help to make squeeze the pliers effortless and painless action.